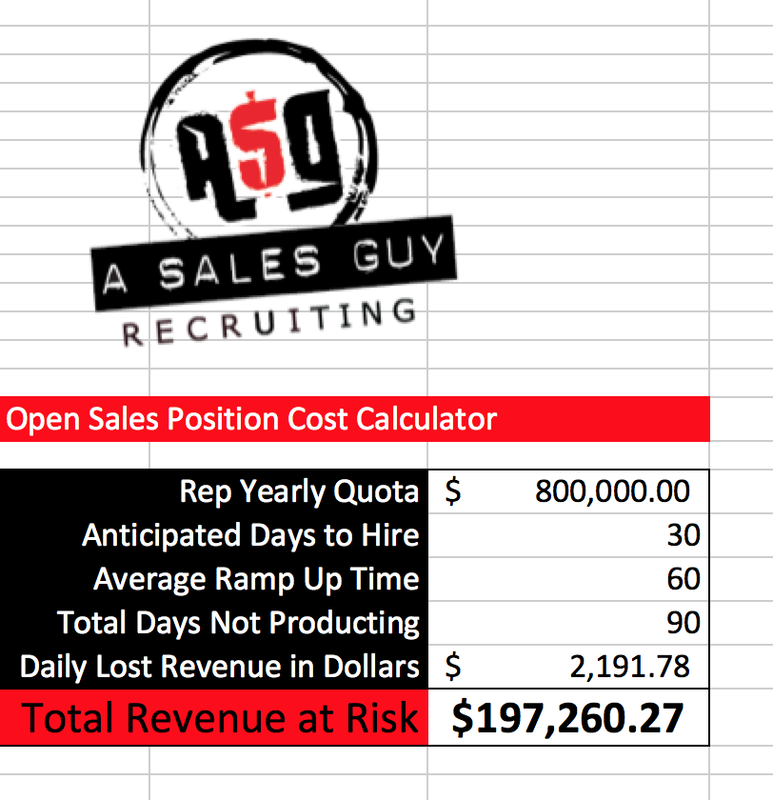 How Much Is That Open Sales Position Costing You? With this Calculator you'll see the real $$$ amount not filling your sales position is costing you! It's a lot! Like any revenue-generating part of your business, salespeople bring in something very material- $$$. For example: An open sales position with a yearly quota of $800,000, costs a company over $2,100 a day AND over a whopping $197,000 over the 90 days it takes to get a new rep hired and up and going. Don't dilly-dally when it comes to filling your sales positions. It's money out of your company's pocket. Learn more here: "Do You Know How Much An Open Sales Position Costs Your Company? It's A Lot."